December 11 is a date which, for me, will always be my day of infamy. 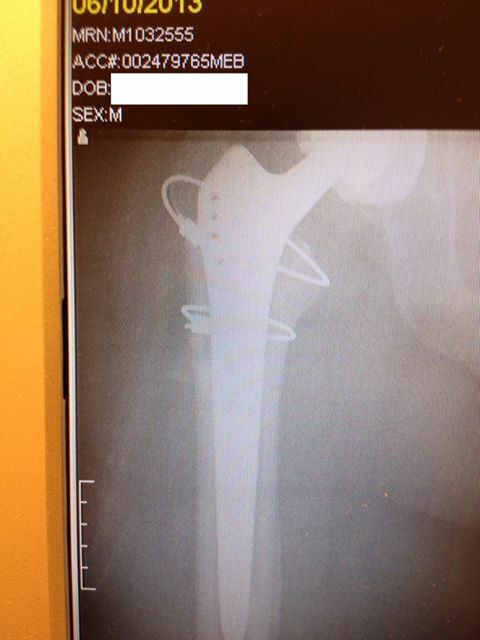 On this date in 2012 I had a total hip replacement (right hip), followed by six months of severe pain and finally a revision where the prosthesis in my femur was removed and a new one installed. Now, six months after the revision I am feeling good, and starting to return to normal, whatever that means. Looking back, I have to say that I just completed the worst year of my life. I say that as someone who had once experienced a stressful year of separation leading to divorce, followed less than two years later by a year of cancer treatments. I have previously written about the hip surgeries, the aftermath and some lessons I learned. Now that I am healing, I keep reflecting on how strange the past year has been, and I am wondering if it has changed me, and, if so, how? Due to the pain, I was on a walker for a very long time and, rather than going in to the office, I worked at home for several months. I was also taking pain medication (first Percocet, then Vicodin) for a very long time. This was a strange time because I was always in a bit of a fog due to the medication. Despite the fog, I managed to successfully work from home. I think that this all worked because I was at home and did not have very many distractions; this allowed me to more sharply focus on my work through the fog. When I think back to this time, my memories are all colored gray and have a somewhat unreal, dreamlike quality. My surgeon (contact me and I will give you his name so you can avoid him) was little or no help. He seemed totally mystified by my pain and kept grasping for answers. He thought that, perhaps, my bone was slow to grow to the prosthesis. He had me take calcium and vitamin D and wear an electronic bone-growth stimulator. None of this made any difference. After two months I went to another surgeon for a second opinion. He didn’t see any smoking guns in the X-rays and he was no more help than my original surgeon. Once I was finally cleared to use a cane (late February 2013) I took myself off the prescription meds, switched to tylenol and ibuprofen, and returned to working in the office. I did my best to continue my life, even as I began to wonder if I would have to live with this pain for the rest of my life. I put up with the pain until April 2013 and then decided I had to take action. I was desperate. The constant pain led to severe depression. At this point, I knew that I needed to find a new doctor; but how? I believe that one of the biggest problems in health care today is that there really are no resources available to allow a patient to intelligently select a doctor. No central clearing houses with ratings. Everything is by word of mouth. I hate to bother friends with questions related to their work, but not knowing what else to do, I finally turned to some of my friends who are doctors. I said that I was at my wit’s end and that I needed help. One friend passed me to a colleague who is an orthopedic pathologist, who recommended Dr. Marc Hungerford at Mercy Hospital in Baltimore. I wish I could put into words how much better my experience with Dr. Hungerford and his staff was, compared to my first surgeon. The difference was so great that expressions such as, “different as night and day” do not do it justice. Dr. Hungerford looked at the X-rays and knew immediately why I had the pain; the prosthesis was loose and was impinging on the side of the femur, which was causing the pain. When he showed us the problem on the X-rays it was obvious to both me and to my wife…why my first surgeon could not see this, and why he let me suffer for so long, I don’t know. Anyway, in June Dr. Hungerford performed the revision. Everything went well and I felt better immediately. I was able to stop taking prescription pain medication after only two weeks. I soon felt good enough that, even though I was on a walker and wearing a hip brace, I could go out for a walk around the neighborhood each day. It was liberating! Unfortunately, with my head now clear, working at home was difficult. I missed the interaction with my coworkers and didn’t need the quiet to concentrate and focus. Despite the walker and hip brace, I felt I needed to go into the office at least once or twice a week to maintain my sanity. The memories of this time are not colored gray, they are full of sunlight and blue skies. In late July, when I went from a walker to a cane, I resumed driving and went back to work full time…I believe that was the beginning of my rebirth. I stopped using a cane in mid-September and began physical therapy. I was walking with a noticeable limp, but getting progressively better. In October, I took a two hour hike in the woods with my wife. It was tiring after having been a couch potato for most of nine months, but also exhilarating. I could do it! I could walk again! At the beginning of November I retired from my job with the Navy. Since then, I have been going to the gym almost every day that I am home, strengthening my leg and restoring my endurance. I still have a lot of work to do to get back in shape, but I am making progress and I am now I am in less pain than before the first surgery. I can now do all the things I envisioned doing during retirement. Rather than living in the perpetual gray that I had once feared, I now see many more blue skies and sunny days ahead! What a saga! I’ve been through some trials including bypass surgery, but none of them equal the trials you went through with that hip. I was blessed with a first rate thoracic surgeon. It was a year before I felt normal again, but it wasn’t a year with intense pain of unknown cause. You describe your experience very well. I appreciate having had the opportunity to read it.